Red, itchy eyes, otherwise known as allergic conjunctivitis, are one of the most common symptoms of hay fever here in Buffalo, NY, and while there’s no cure, over-the-counter allergy eye drops can help bring temporary relief. However, if symptoms worsen, make sure to see a physician about prescription eye drops. While over-the-counter products may be fine for allergic rhinitis, you’ll need something stronger if you come down with a bacterial or viral infection. Artificial tears like those from Refresh can help wash away irritants and lubricate dry eyes. However, you won’t want to use them more than 4-6 times per day. Excessive use can cause discomfort. Refresh artificial tears work to repair the damaged surface of the eye and prevent your natural tears from evaporating. Clear Eyes eye drops are designed specifically for cosmetic purposes. They’ll help mitigate the red coloring in your eye, but they won’t necessarily reduce inflammation when the pollen count is high. While they work well, do note that the effects wear off quickly and overuse can actually cause further inflammation. Usually when we think of decongestants we think of the sinuses, but Visine LR allergy eye drops use decongestants to help reduce inflammation in your eyes. Opcon-A allergy eye drops actually contain antihistamines that will work to counteract the body’s response to an allergen and control overall itchiness. Mast cell stabilizers, like antihistamines, work not only to control allergy symptoms, but also to slow the allergic reaction itself. They’re also available as prescription eye drops, but we find that Alaway eye drops will do the trick. 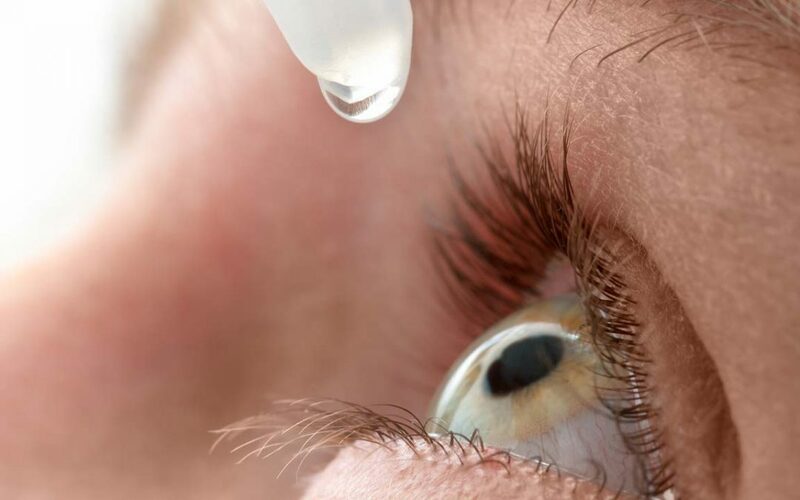 No one likes itchy, dry eyes, but with good over-the-counter allergy eye drops, you can mitigate the pain and even regulate the overall reaction. Whether you want to get a better night’s sleep or a bit of natural relief, allergy eye drops are easily accessible and highly effective. Sore throat killing you? Unfortunately, a sore throat is a common side effect of environmental allergies. Thankfully, allergy drugs aren’t your only option. Using ingredients you probably have on hand already, you can whip up a delicious pot of vegetable soup. Here’s our best recipe—from our Buffalo, NY clinic, to your kitchen.